Rated PG-13 for momentary language. Valentin is a criminal mastermind, but his exploits don't prove much in the way of satisfaction. Thus, he sets out on a one-man sailing trip around the world in a last attempt at finding meaning in his life. Meanwhile, in Morocco, a burned-out jazz singer named Jane is trying to forget a fizzled love affair. And so begins the journey of these two lost soles who are destined to cross paths. Lelouche can still make them like nobody else What a pleasure to see another work from one of the world's greatest directors, Claude Lelouche. 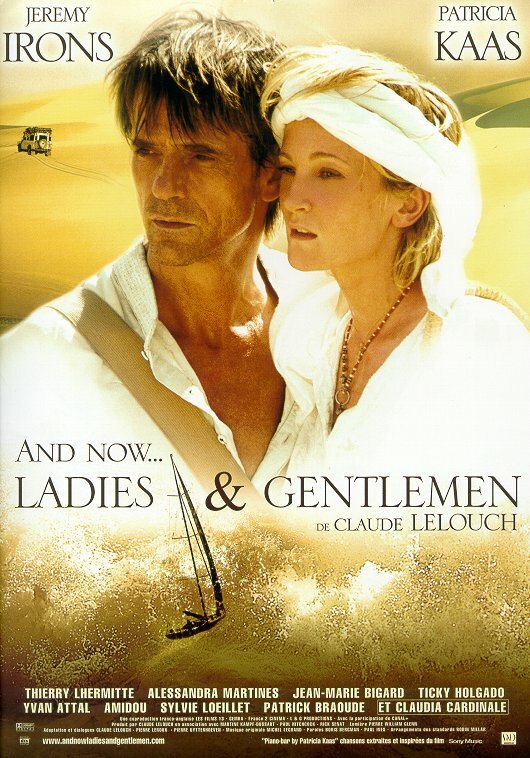 "And Now Ladies and Gentlemen" doesn't disappoint, although it's clearly not in the league of Lelouche's masterpieces "A Man and a Woman" and -- my favorite film ever -- "And Now My Love" ("Tout un Vie"). 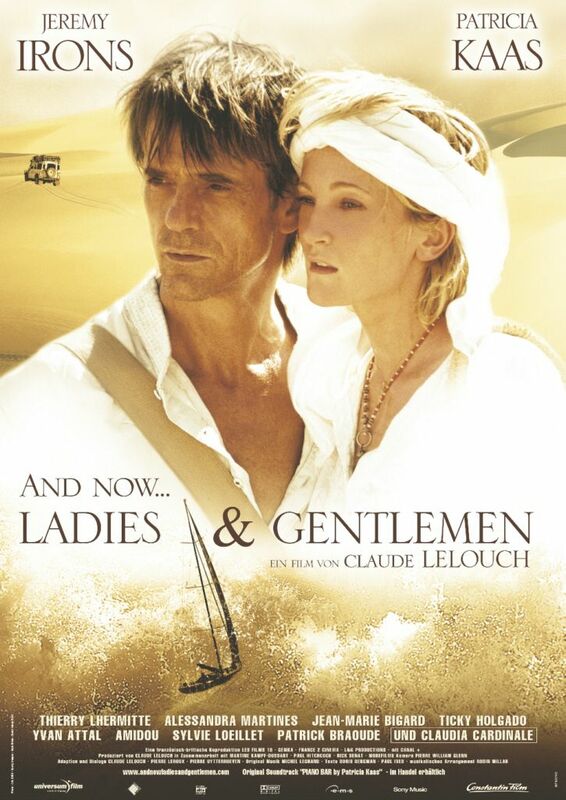 There are all the requisite Lelouche themes here: romance, destiny, faith and redemption, combined with superb performances by Jeremy Irons and Patricia Kaas, exotic locales and that wonderful Michel Legrand music. (Also great to see performers like Claudia Cardinale and Paul Freeman again!) Nobody else makes films like Lelouche, and that's both a pity and a reminder of what a treasure he is.